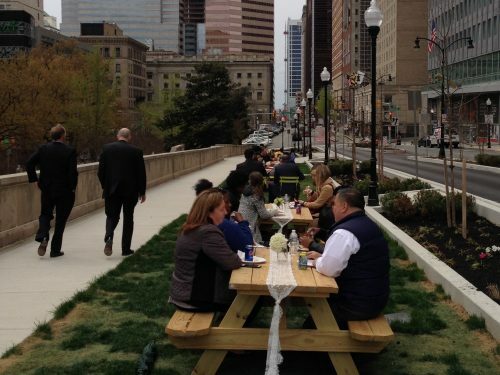 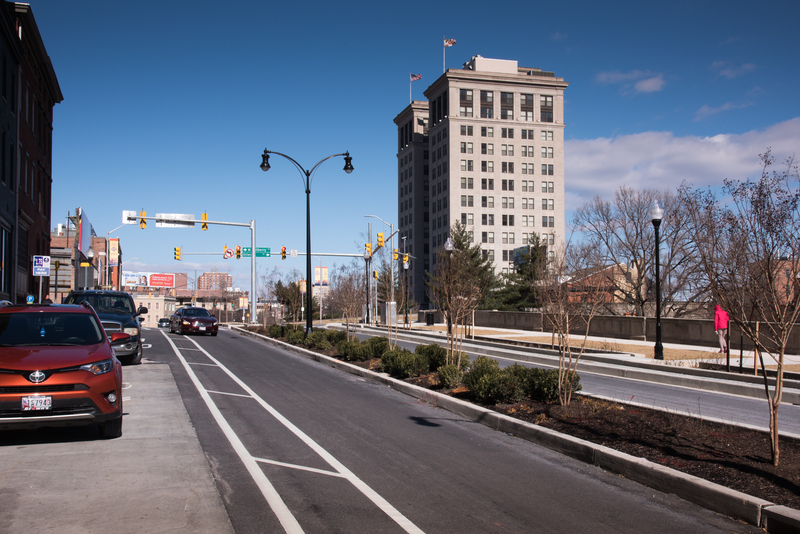 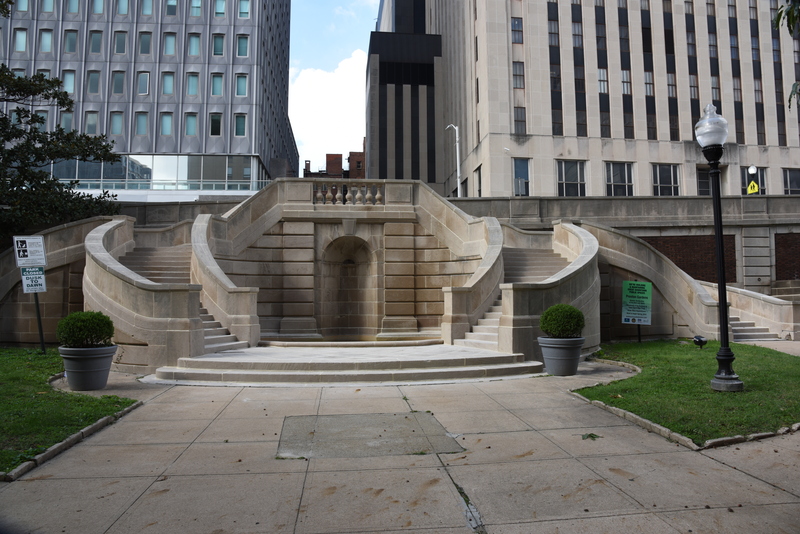 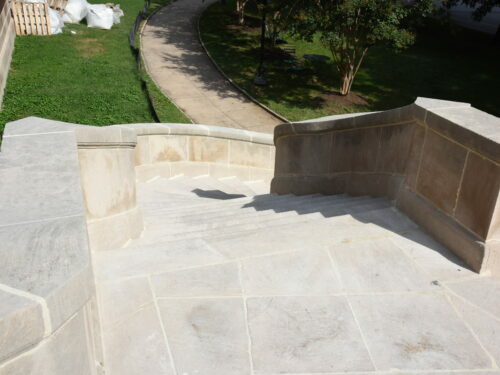 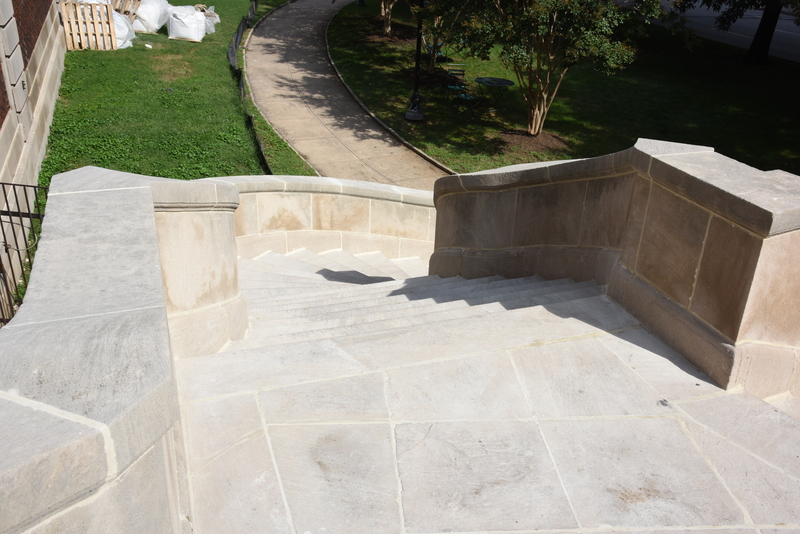 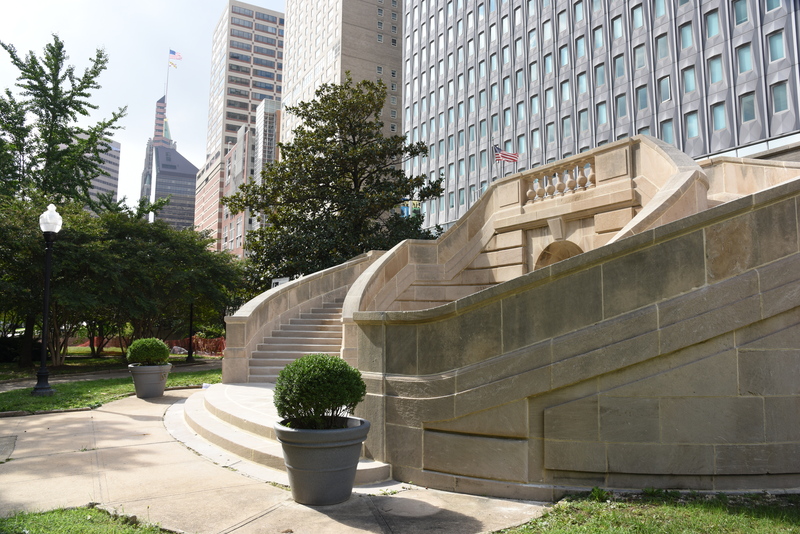 A 100-year-old park in Baltimore was restored and beautified through JMT’s design. 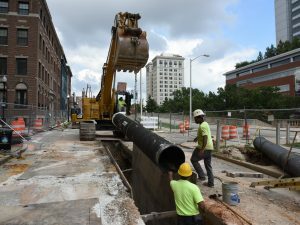 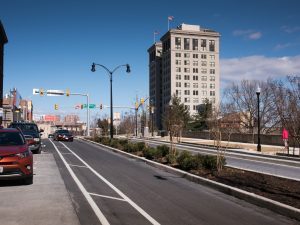 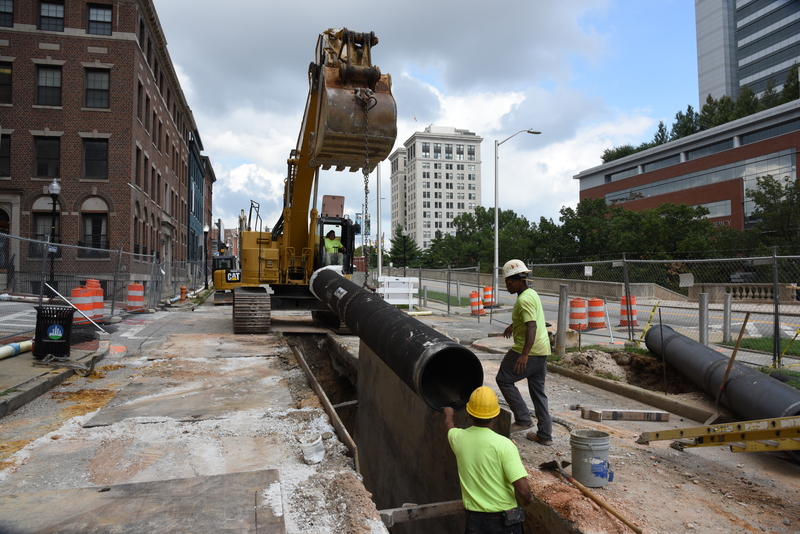 The Downtown Partnership of Baltimore (DPOB) and the City of Baltimore Department of Transportation sought to rehabilitate Preston Gardens, a century-old public space, into a usable and inviting recreational area. 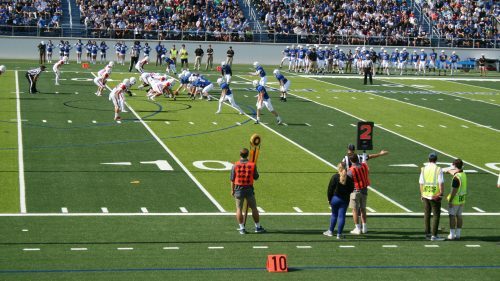 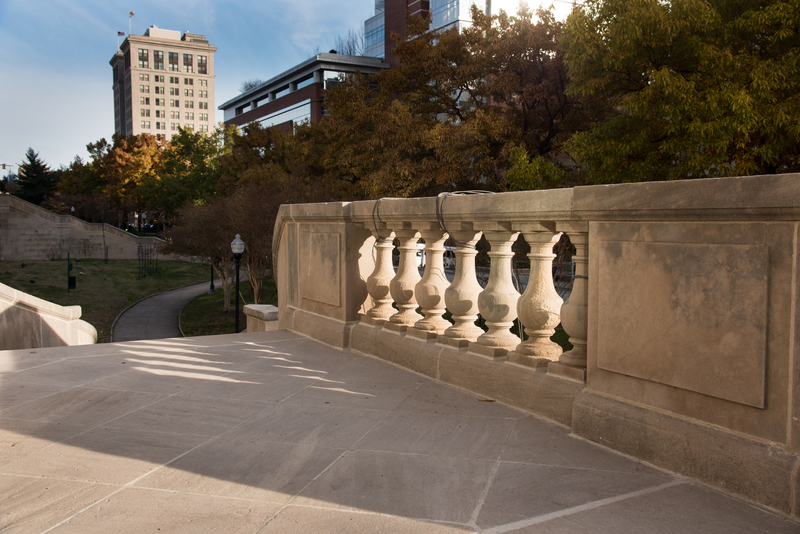 JMT developed construction documents for improvements to restore and rehabilitate the park while also creating additional park space on Saint Paul Place, making a green space for the surrounding businesses and residents. 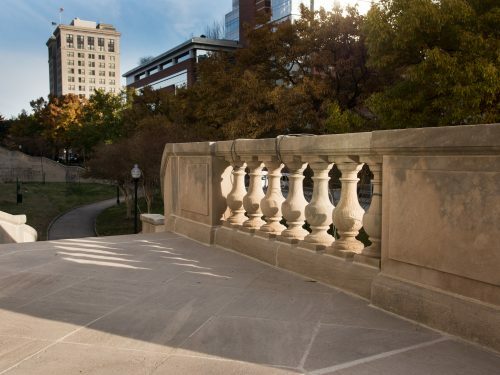 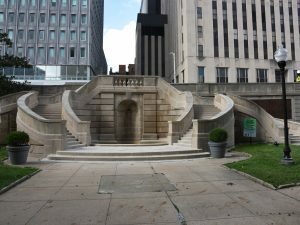 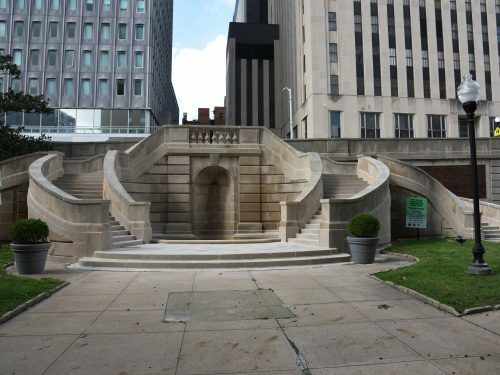 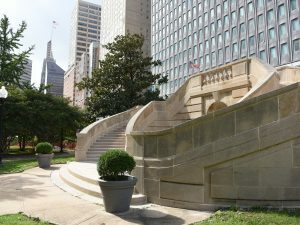 Some of the key features of this urban park are a 700-foot-long, historic retaining wall that grade-separates Saint Paul Place from the park below; wide, majestic staircases with fountains and balustrades; ADA-compliant ramps; and a plaza space. 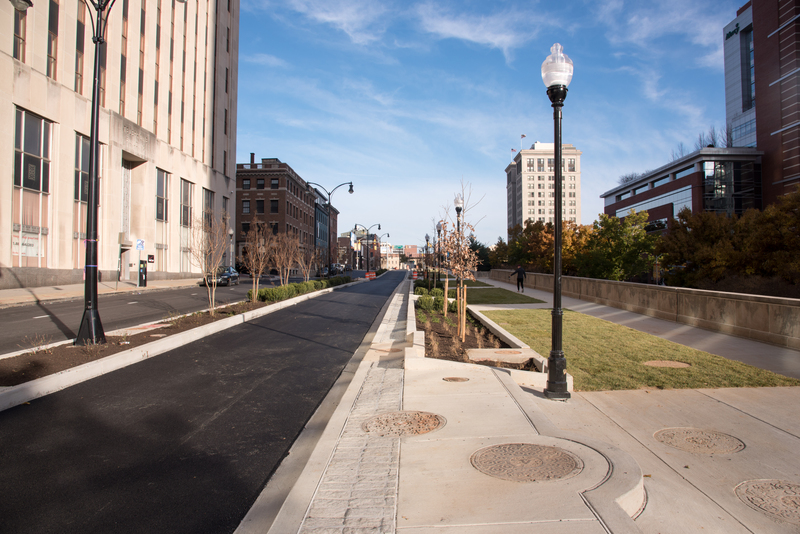 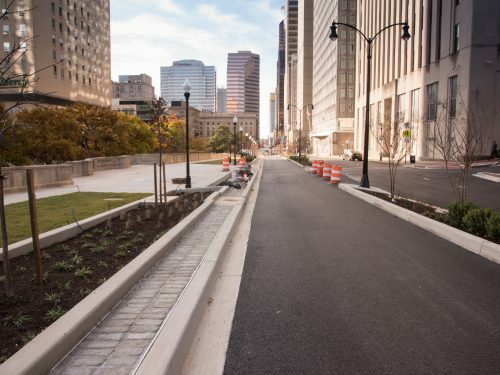 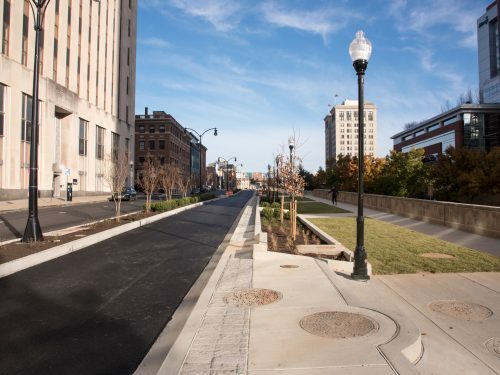 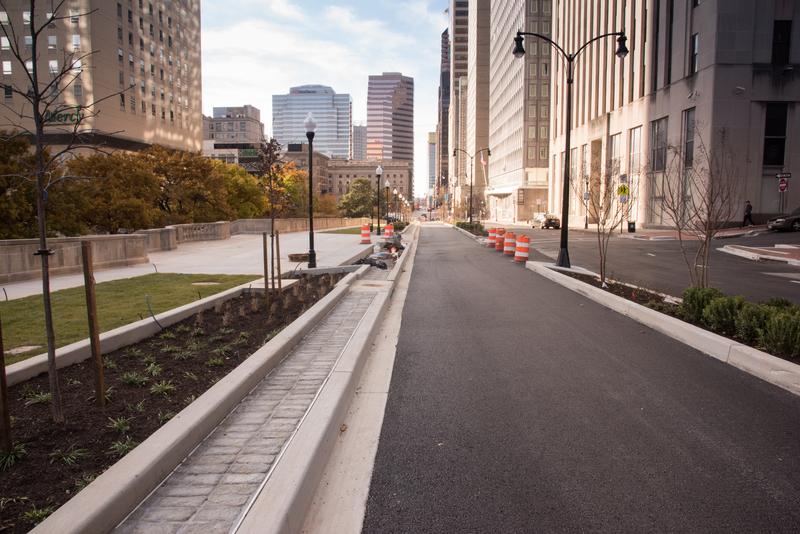 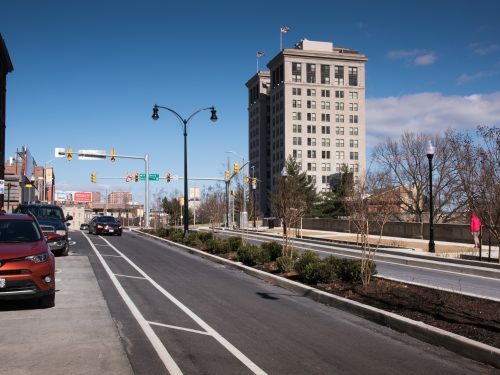 This new pedestrian space allows for multiple activities and functions to be hosted at the park and includes trees lining the street, curbside bio-retention facilities, benches, electrical service for events, and new paver treatments. 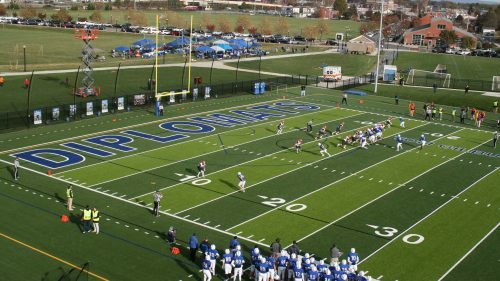 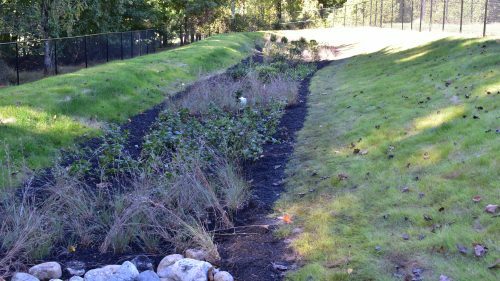 This project is an excellent example of work completed within a culturally-significant landscape, including an assessment and history of the landscape, and the creation of new, usable space that works in coordination with its historic elements.